You’ll find our blog covering everything from local market statistics, condo and home values to the local community events. That’s because we care about our community and want to share and help you find your place in it. At Condosandhomesmiami.com we have a great team of dedicated Realtors that live and work in various cities in the Miami Area that would love to show you what makes it such a great place to call home. Tides Beachfront Condo unit C15N in Hollywood Beach FL. Great ocean view location next to areas most luxurious oceanfront condo buildings. Close proximity to Hollywood Broadwalk and a short drive to Fort Lauderdale International Airport. The best Winston Towers complex is the 700 building. Located on the Intracoastal waterways on 174th Street this Winston Towers complex is away from all the noise and traffic of Collins Ave. Available for rent is this wonderfully bright and airy condo unit 1517 in the Winston Towers 700. Curious About the Real Estate Market in Golden Beach FL? The Village of Golden Beach is located between the two of the popular cities in South Florida, Sunny Isles Beach and Hallandale Beach. Stretching 1.3 miles along the Atlantic Ocean, Golden Beach features some of Miami-Dade most luxurious beachfront and Intracoastal mansions. Offering unique luxury beachfront homes and waterfront homes with access to the Intracoastal with unobstructed no fixed bridges access to the ocean. Midtown 4 Miami condos for sale, one of the hottest and most desirable and growing areas in Miami FL. Offered for sale in the best building in Midtown, Midtown Four building unit H-3005. Spacious one bedroom, one and a half bathrooms condo on the 30th floor in a 32 story condo complex Midtown 4. Please Contact Us or give us a CALL 786-505-4786 if you have a question about this lovely condo for sale in Midtown. Click HERE see the video. 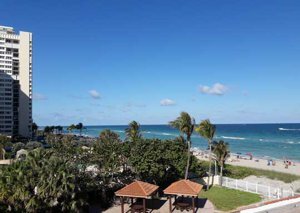 Taromina Beachfront Living in Hallandale Beach. Great oceanfront beachfront locations are hard to find nowadays, not that there are none out there and once you do find one get ready to pay an arm and a leg. But what if I told you that does not have to be like that. What if I could show you a condo on the beach in Hallandale under the $200,000 price range or less, would you call me crazy or say that I am lying? But yes, I can show you! Taromina Beachfront Co-Op 55+ condos in Hallandale Beach are a place like that. See this lovely beachfront condo in Taromina Unit 17A HERE. Winston Towers 400 condo 401 for Sale. Winston Towers community is one of the most popular condo buildings in Sunny Isles. A total of seven twenty-four story buildings located along the 174th street from Collins Av to the Intracoastal. Residences offer areas best ocean, Intracoastal, and city views. Being offered for sale this remarkable condo in the 400 building unit 401. Located at 231 174th Street, Winston Towers 400 building is the closest one to the beach and walking distance to stores in the area. Completely rehabbed Winston Towers 400 condo 401 is a move in ready residence. Offering a split floor plan at 1480 square feet, condo 401 is a full 2 bedroom unit with 2 full bathrooms. Completely upgraded throughout this unit looks like a showroom condo. Give us a call 786-505-4786 for more information or to schedule a showing of this lovely condo for sale in Winston Towers 400. Great Deal on 11630 SW 100 St Home in Glen Cove Community. Great Deal on this single family home located at 11630 SW 100 ST Glen Cove community of Kendal, FL. No HOA here, a wonderful location of single family homes in a none gated development located close to all of the area amenities. Easy to get to the Turnpike, Miami Dade Community College is just around the corner. Great location for anyone working in the medical field at Baptist Hospital and Kendal Regional Hospitals are only minutes away. Give us a call 786-505-4786 to schedule a showing for this home for sale in Kendal, FL. What Insurance Coverage Should I Get? 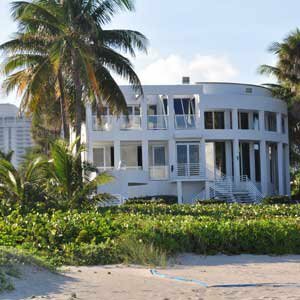 The must-have condo insurance coverage for your North Miami Condos. Some recommendation as to the coverage one should get to ensure their condo and what to insure. Trying to figure out what insurance coverage you need when you live in a condo. Who is responsible for what, what should I get coverage for, what if I get damage from my neighbor, what if I am the one that caused the damage! Any owner of a condo or townhome should be aware that their personal property and possessions, personal liability and upgrades to the unit are most likely not covered by the Condominium Master Insurance Policy. See this updated unit Admirals Port condo 602W Aventura FL. Spacious corner condo 602w waterfront Admirals Port Aventura FL building for sale. Available for quick sale in Admirals Port condo 602W for sale Aventura FL. Battery Powered Homes Are Becoming Reality. Read about the future of battery-powered homes South Florida market may be headed for. Solar and battery power renewable energy in South Florida. The great thing about the batteries is that they can store energy for later use. Batteries can harness renewable energy sources and make utility companies less reliant on more expensive forms of electricity when demand runs high. Solar power, especially, tends to generate electricity only at certain times, unfortunately, it is rarely in sync with a home’s needs. Battery powered homes could change that.